Kids are intrigued by rain and lightning and thunder. 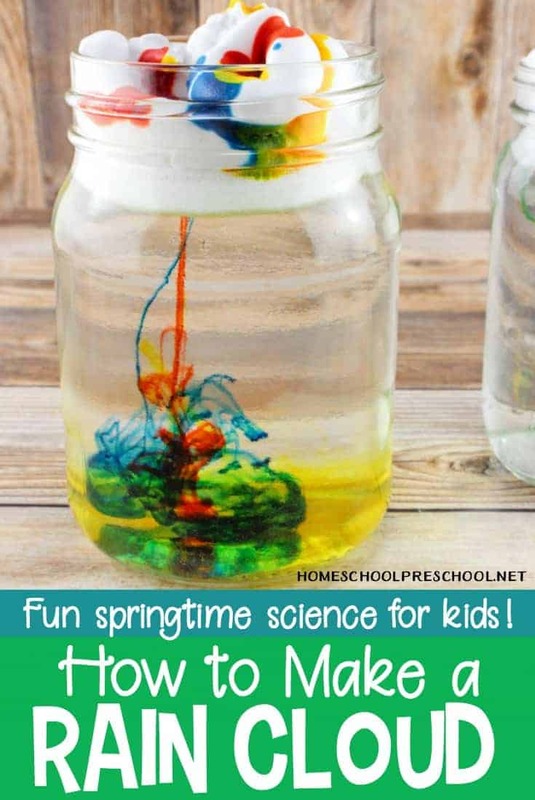 This fun spring science experiment gives little ones an up close look at how clouds make rain. Then, of course, be sure to go jump in some puddles! That’s always a favorite springtime activity. They’ll be begging to make a rain cloud in a jar all season long. Before starting this project, discuss with your preschoolers how rain is made. Inside a cloud, there are many water droplets. These water droplets move around in the cloud bumping into each other. As they do, they stick to each other making raindrops. These raindrops continue to get bigger and bigger until they’re so heavy the cloud can’t hold them anymore. When that happens, they fall to the ground as rain. You should be able to find each of these products at your local grocery or dollar store. If not, you can order them from Amazon by clicking on the images below. Gather your supplies. 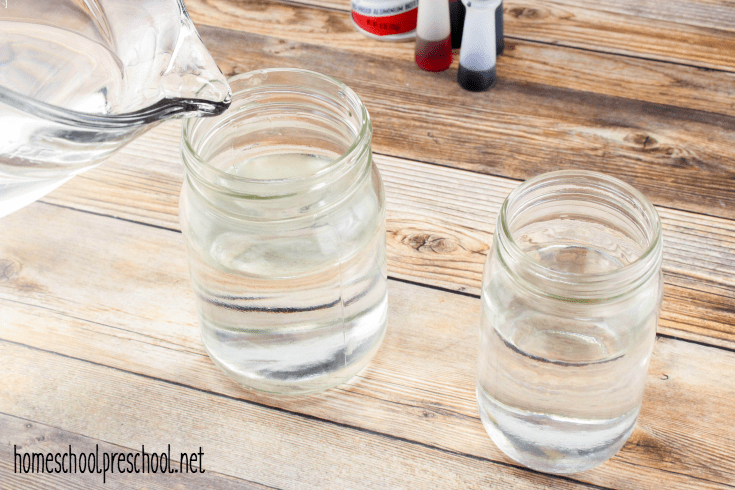 Fill your jars with water to about 2 inches from the top. 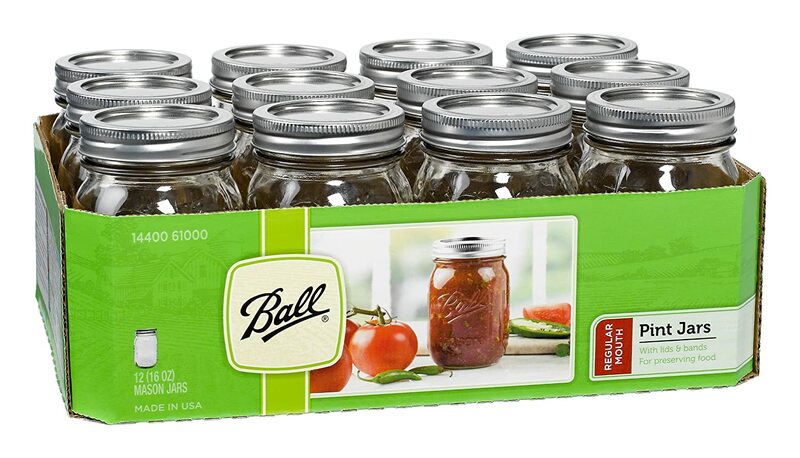 If you fill your jars too full, you won’t have enough room to make the “cloud”. Also, if you can, let each child create their own rain cloud in a jar. Lessons tend to “stick” better when done in a hands-on way. 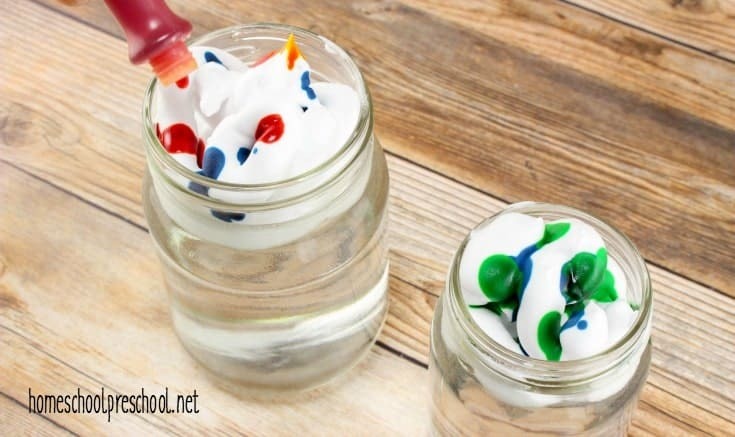 Spray a layer of shaving cream on the top of the water in each jar. This will represent the cloud. Be sure that you don’t make your “cloud” too compact, or the “rain” will have trouble getting through it. Make sure to spray it loosely on top. 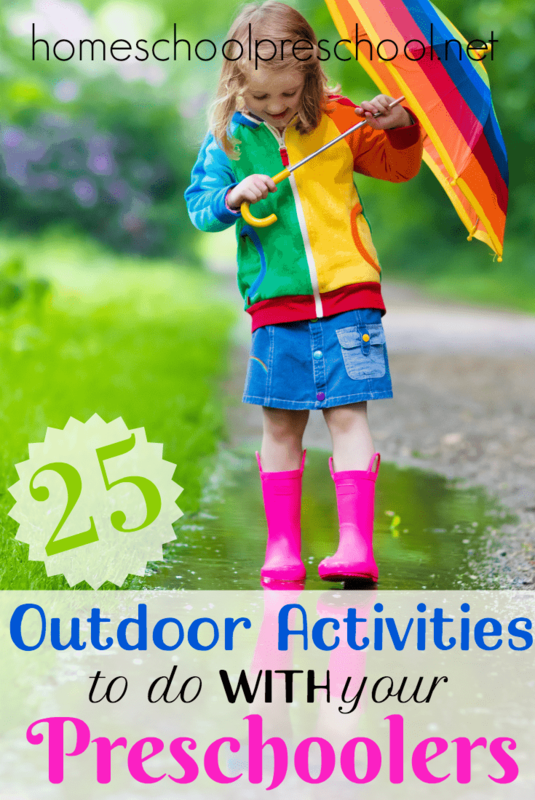 You may want to do this outdoors or on a plastic table cloth to prevent a mess. And, young children may not have the hand-strength needed to do this step. 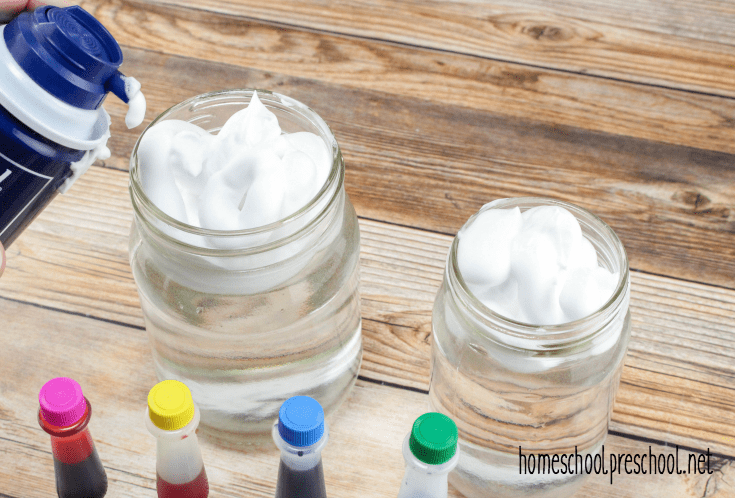 Once kids have their clouds “just right,” let them squirt a few drops of food coloring around the top and sides of the shaving cream cloud. They can use all one color or multiple colors. 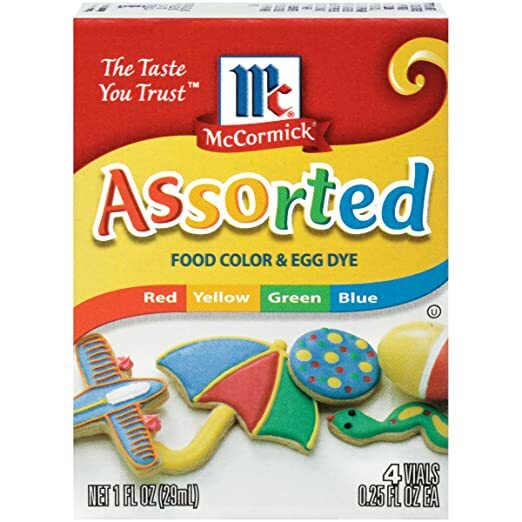 You will need liquid food coloring. Gel coloring won’t drip like you need it to for this experiment. The food color will slowly start to leak through the cloud, which will look like rain coming through the clouds. 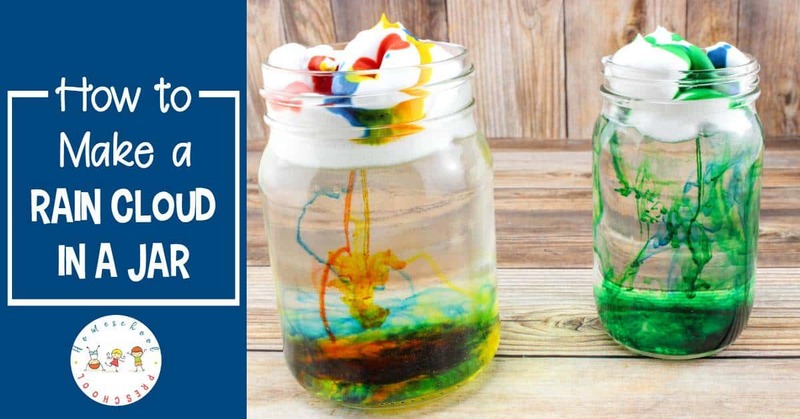 This is such a fun, hands-on science experiment for young learners. 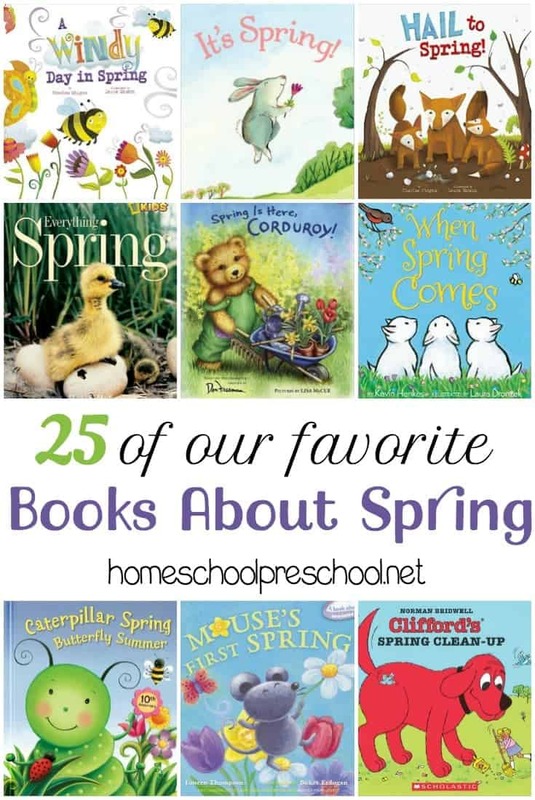 And, it’s a great addition to your springtime homeschool science lessons. Rain (Weather Ready-to-Reads) – Drip, drop, plop, rain falls from the sky. Rain turns dirt into mud and makes puddles on sidewalks. It also helps flowers grow. But where does rain come from? The answer is at your fingertips. Down Comes the Rain – After rain comes down, the sun comes out and dries the puddles. But the water isn’t gone. The heat from the sun has turned it into water vapor-it has evaporated. Eventually, this moisture in the air condenses to form new clouds. Soon the rain will fall again. Read on to find out all the ups and downpours of the water cycle! It’s Raining! – What makes rain? From drizzle to downpour, here’s information on the different kinds of rain and how to prepare if a storm is approaching. I love this idea. 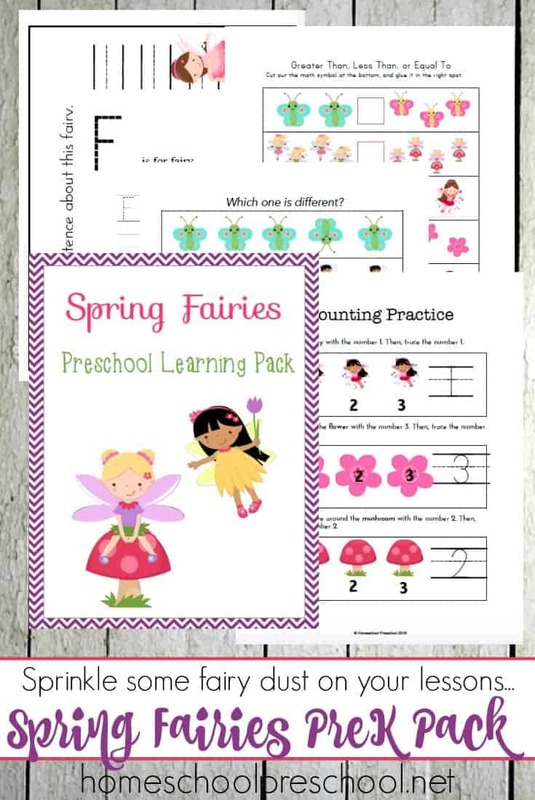 Spring break is coming up and I want to find some fun things to do with my kids. Thanks for sharing this at #OMGHWW. Pinning it for later.